Some say my kids are raised in a barn like it’s a bad thing. I’m here to tell you on the contrary, it’s the best thing. 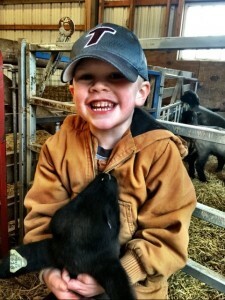 My husband and I have made a conscious decision that we want our kids to be involved in raising livestock from a very young age. In fact I can specifically remember that when we brought each one of them home from the hospital as a newborn bundle of joy, our first stop was the barn before we even set foot into our house. I have pictures of each of the kids fresh out of the hospital in their car seats, sitting on the barn floor in front of the sheep feeders with curious ewes and dogs coming right up to sniff the new addition to the family. That’s a memory that I will always cherish. 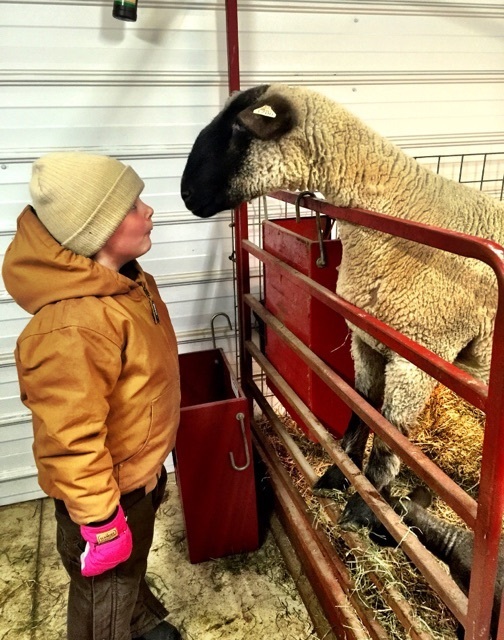 Now that my three kids are ages 7, 4 and 2, and we’re in the heat of lambing season during February in Ohio, I am starting to truly see values being infused into their tiny little souls as a result of being in the barn during lambing season. 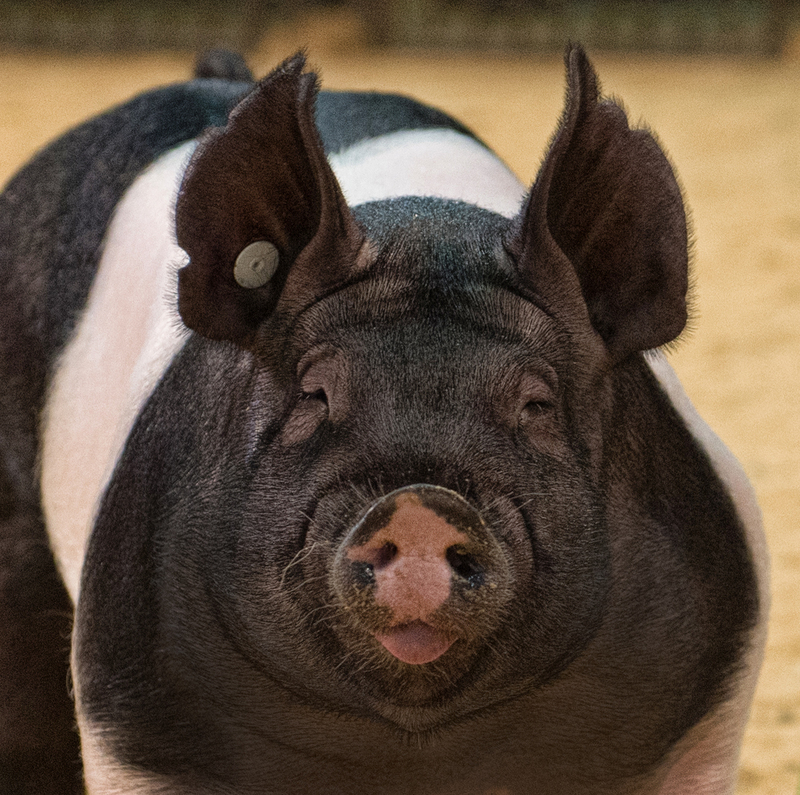 To call specific attention to my point, I believe there is significant value in involving your children in raising livestock. Some might ask “Why?” so here is my answer to why my family chooses to raise our kids side-by-side while raising livestock. There’s something miraculous about witnessing a new life come into the world. I believe any mother or father would agree to this statement in regards to their own children. 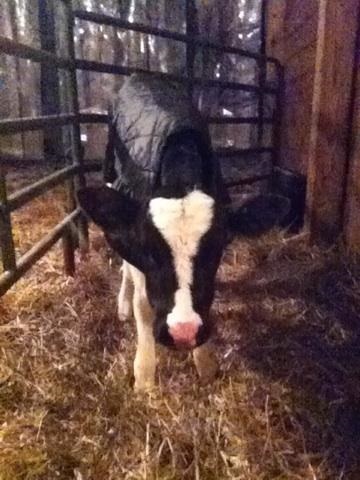 In my opinion, the next best thing is sharing new life with children through animals being born in the barn. Seeing my kids get excited to run to the barn to help their favorite ewe deliver a lamb is a feeling of delight that makes me proud every single time. Sure there are some giggles, questions and “yuck that’s gross” every now and then but let’s get real here – that’s life. I believe there’s value in not being naive to what birth involves; my kids just don’t have to wait for 5th grade health teacher to introduce them to the process. They see pain, work, reward and love, all in a short period of time. I personally think it’s impossible to describe the impact of a new life coming into the world until you experience it. 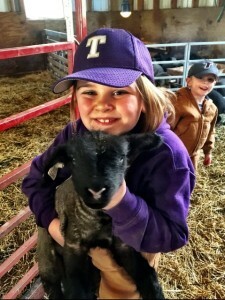 I’m grateful that my kids have the unique opportunity to witness new life at a young age through raising our livestock. That feeling is priceless and I believe some feelings are better caught than taught. 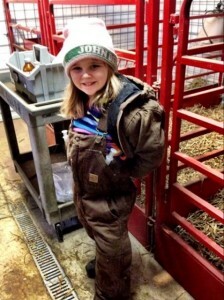 Raising livestock teaches my kids that life can be fragile and should be valued in the highest regard. 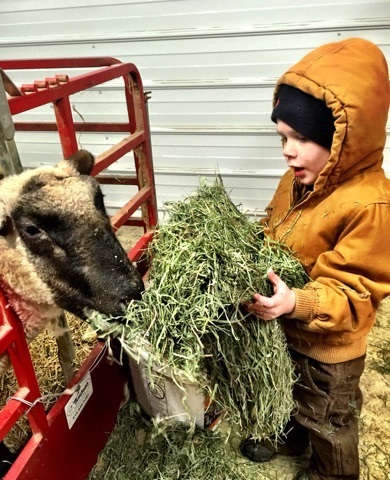 Because of our deep care and concern for our livestock, my kids are often in the barn while my husband and I are dealing with tough, and at times, life or death situations. They see it all. Sometimes that means the kids see their Dad and I spending a significant amount of time helping a ewe to deliver a lamb when she can’t do it on her own. The kids witness the struggle to get a lamb turned the right way so it can be born. They hear us literally saying out loud encouraging words to a ewe as if she can really understand us and know that we’re rooting for her. My kids have even seen the process end with a call to the vet for a c-section performed right in the middle of our lambing room floor. And that’s just from the angle of helping the ewe. Thinking back to when my kids were born, I remember that it seemed pretty instantaneous that when they entered into the world, their first breath seemed immediate, and they loudly announced their arrival through their first cries almost immediately. That is typically not the case with newborn lambs; their entrance into the world doesn’t always happen seamlessly. More often than not, it seems that we end up helping the lambs to “get going”, especially if we’ve had to help the ewe with the delivery. Lambs can be slow to break out into the new world and take their first breaths. Frankly speaking, they can be pretty lifeless for the first few minutes, which seems like eternity, after birth. Without getting into too many gory details, my kids have seen my husband and I do whatever it takes to get a lamb going and breathing as quickly as possible. Sadly, sometimes they just never do really “get going”. The birth process doesn’t always go as planned despite our best efforts. The kids see my husband and I’s frustration, defeat and genuine sadness when our best efforts in assisting our livestock don’t end well. Life is fragile. My kids have experienced death. These life and death experiences open the door for me to talk to my kids and remind them that life is not to be taken for granted. When you work at something that you love, you’ll never work a day in your life. Raising livestock is hard work but when its work that you love, it’s much easier (though admittedly not always fun) to get out of bed for 1AM and 3AM barn checks during lambing season. 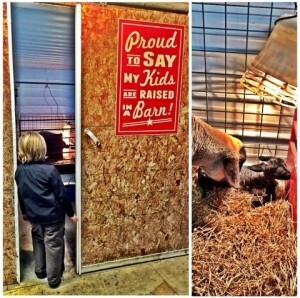 Now granted, my kids don’t actively participate in middle-of-the night barn checks, but they know that it gets done. The kids do however, participate in as much barn work with the ewes and lambs as reasonable for their ages. My 7 and 4 year olds are capable of doing anything from feeding hay to bottling lambs to being the ear tagger or shot holder. And guess what? It hasn’t killed them yet. 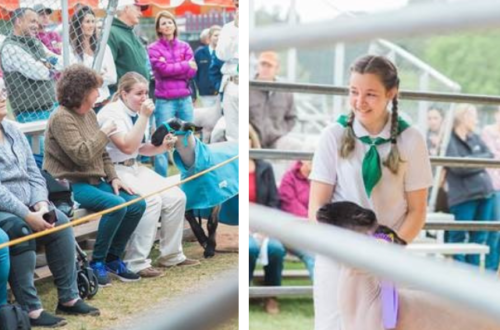 In reality, most of the time, the kids are eager to go to the barn and help; they want to be part of the work done in the barn and genuinely look forward to it. 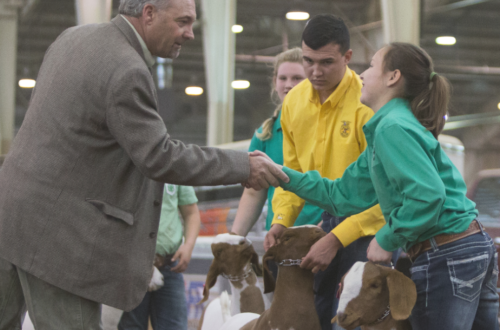 Working together as a family to raise livestock truly allows us the priceless opportunity to begin to introduce a strong work ethic to our kids in a positive way. I can’t think of a better place than the barn to introduce my kids to the concept of “work can be fun” when it’s something you love. 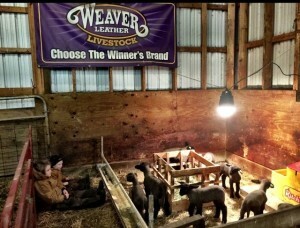 I am so t hankful to be able to share this livestock life with my kids and I hope that someday they will look back and value their time spent the barn, especially during lambing season. 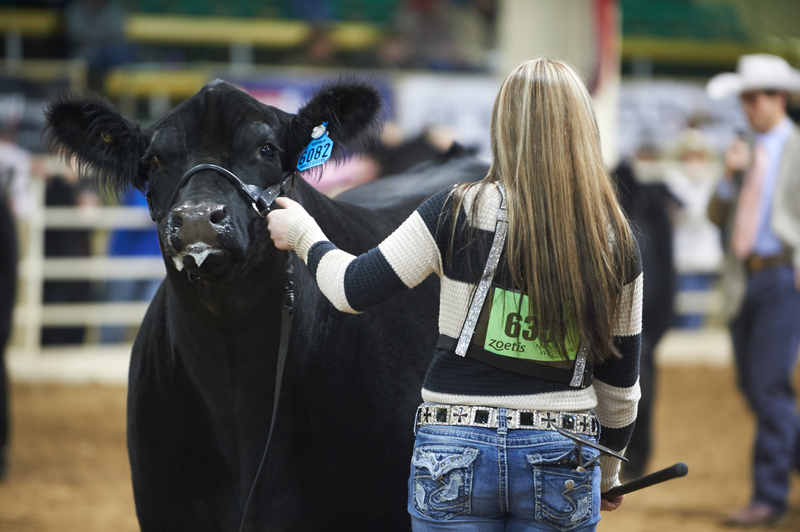 I truly believe that through exposure to real-life scenarios like life, death and hard work, livestock kids have a distinct advantage and a strong grasp on the realities of life. If I am wrong, what did the experience hurt? But instead, I’d like to think that I am spot on and I’d argue any day of the week that the barn is exactly where I want my kids to grow up.